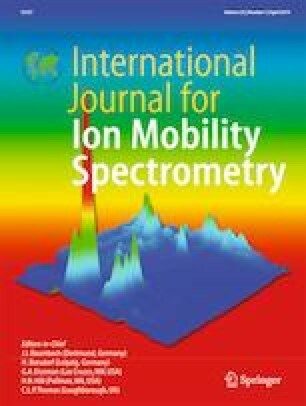 In order to optimize an ion mobility spectrometer (IMS) with respect to resolving power and sensitivity, the exact spatial ion density distribution generated by the used ionization source is of major interest. In this work, we investigate the two-dimensional (2D) spatial ion density distribution generated by a 63Ni source and the three-dimensional (3D) spatial ion density distributions generated by a radioactive 3H electron source, our non-radioactive electron source and an X-ray source. Therefore, we used an experimental setup consisting of the ionization source under investigation, an ionization region, a 5 mm short drift tube and a PCB Faraday detector segmented into stripe electrodes to measure the ion current. Repeating this measurement for different detector angles, the resulting 3D spatial ion density distribution can be calculated by image reconstruction. Furthermore, we varied the kinetic electron energy of our non-radioactive electron source in order to validate the simulated ion density distribution shown in previous work.